I want to this heavy bookshelf speaker on my ceiling as a center-channel, preferably horizontally, as it's above my projection screen. I want to angle it roughly 20 degrees downward so that it's properly aimed at a listener sitting on a couch about ten feet away. It's 11 x 8.2 x 14.8 inches ; 16.1 pounds. It has no bracket mounting holes, and I'd prefer not to screw into the cabinet, but will do so if necessary. 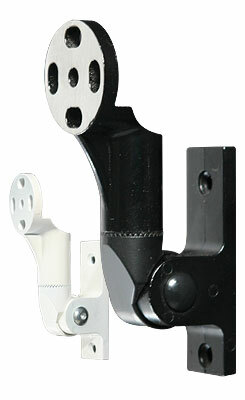 Wall mounted brackets are not going to work, because the screen is in front of a bay window. Shelf is dead easy. Your basic shelf with a lip on the front edge so the speaker does not slide off, as beautiful as you like or as ugly as you don't is really up to you. Perhaps some felt to protect the speaker. 4 threaded rods or chains, 8 hooks (if using chains) 16 nuts and 8 washers if using threaded rod. Best option with threaded rod is to place a board in the attic above the framing and run the rods through the ceiling and through it (now you'll tell me you don't have an attic...) but lag screws with a machine screw threaded part are available, and can be screwed into the framing and have a barrel nut added to join to threaded rod. The angle is achieved by making the back chains or rods shorter than the front ones. If you are willing to screw into the speaker, put 3-4 hooks on it and hang it with chains directly. Hooks for chains should go into framing. Use para-cord or wire rope or other strong cordage to create large loops with which to lasso and cradle the speaker unit. Using knots and/or small cable clamps you can configure the loops so that the speaker is oriented at the angle needed. 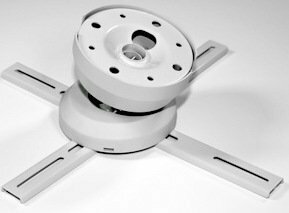 Attach to ceiling hooks of appropriate type for the weight of the unit. I did exactly this in my early days bachelor pad. 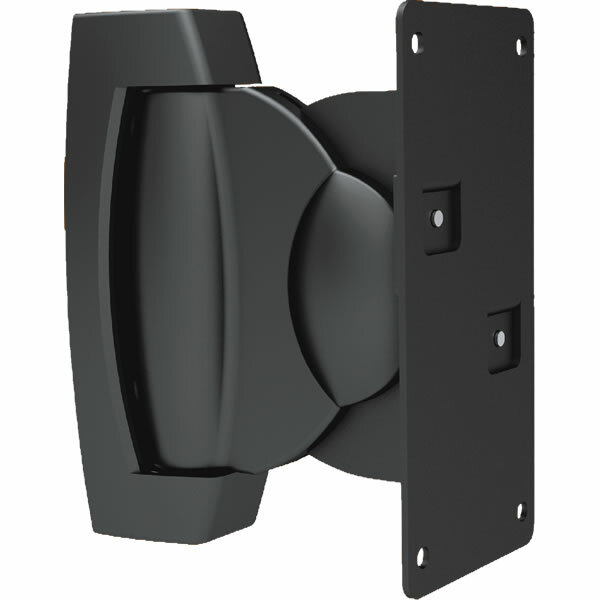 Or alternately this heavy duty wall mount, but mounted to the ceiling and long side of the speaker instead of the wall and back side of the speaker. This bracket would work similarly. People were searching for solutions to the identical problem in this 2011 AVS Forum thread. 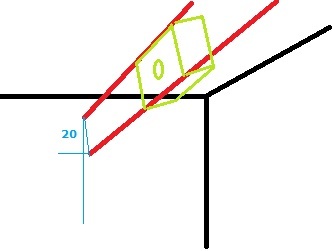 What is the distance between the walls located on the sides of your screen? You can try to do something similar shown in the drawing below. You do not need to make new holes on the speakers. 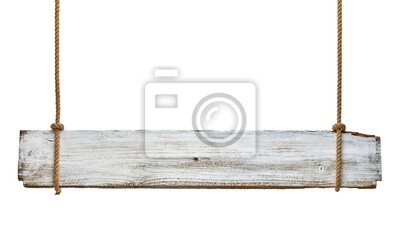 As I see from the picture you provided above, there are screws that hold the case. So, replace them with the longer ones if it is necessary and use those points for mounting the speaker. The red lines represent ropes, wires etc. Using lightweight chain will make the mounting of speakers very easy. You just have to put the screws through one of the chain and screw it to the case. Anyway, I do not recommend hanging or even putting speakers on a desk or something. I found out that they give the best sound when they are on the ground. Not the answer you're looking for? 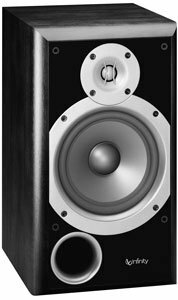 Browse other questions tagged mounting home-theater speakers or ask your own question. How can I mount speakers that don't have mount adapters? Can I position speakers near ceiling, as opposed to ear height? How do I remove a ceiling speaker cover? Muffling a fire alarm speaker? How to stop the vibrations/sound produced by glass inside a room while playing a speaker system? How will I extend my speaker wire? Will running two speaker cables next to each other cause interference? What speaker wire should I use to extend the length?